100% made in the USA from high quality, high density polyethylene; which is a BPA, PBDE, TBBPA free. The muscle therapy massager can usually get locations which are hard to reach as you regulate the force. Wonderful regarding therapy for trigger points using force put on specific tender areas or regions of muscular strain from the neck and shoulders. These types of sensitive areas of muscle dysfunction are essential to eradicate using the device since they may possibly be one of the significant reasons for headaches, neck, and back pain issues. It’s easily transportable, grab the back massager whenever you travel or even set off to work! 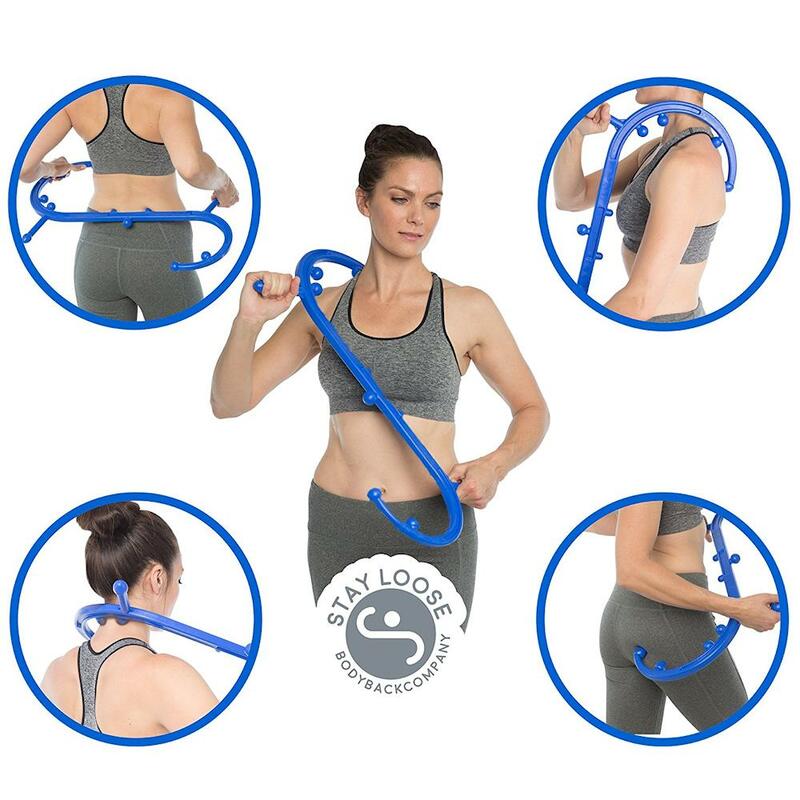 Ideal for getting to the back as well as neck muscle groups without needing to strain or perhaps press against a door knob. 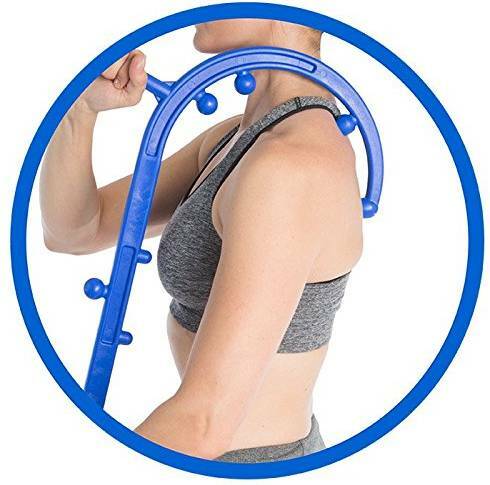 Go after those awful deep muscle spots and also use the back massager to be able to massage sore or painful spots within your back and neck obtaining effects just like the experts. 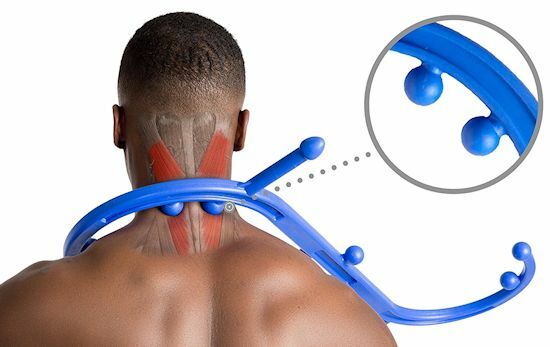 The therapy tool operates to supply a deep massage therapy to muscle groups involving the neck, between your shoulder blades as well as lower back regions which are challenging to get to. Uses leveraging in order to administer strong force to muscles connected with the neck, shoulder area and also back. 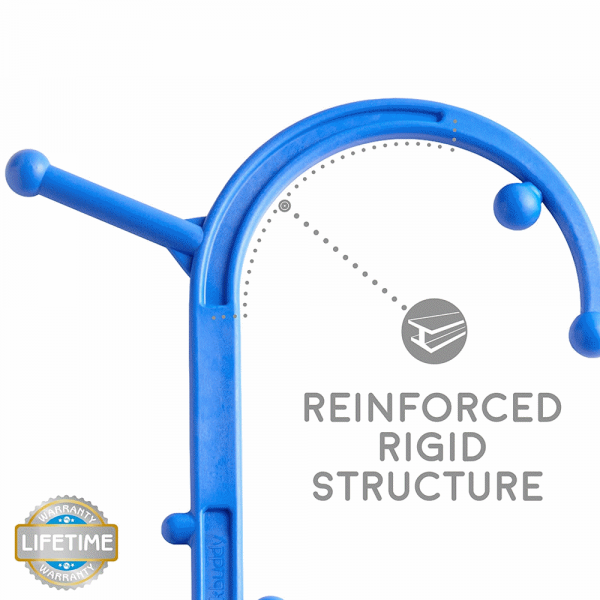 Decreases pressure and pain, increasing overall flexibility as well as functionality. Force placed on the muscle tissues enhances the circulation of oxygen rich blood for the muscles. This kind of pressure helps with reestablishing muscular function by means of breaking apart adhesions within muscular fibers as well as tendons. The improved blood circulation will help the muscle mass to function more effectively. 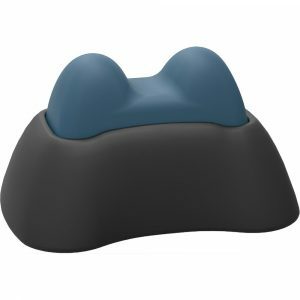 The muscle therapy massager is made of sturdy reinforced plastic. 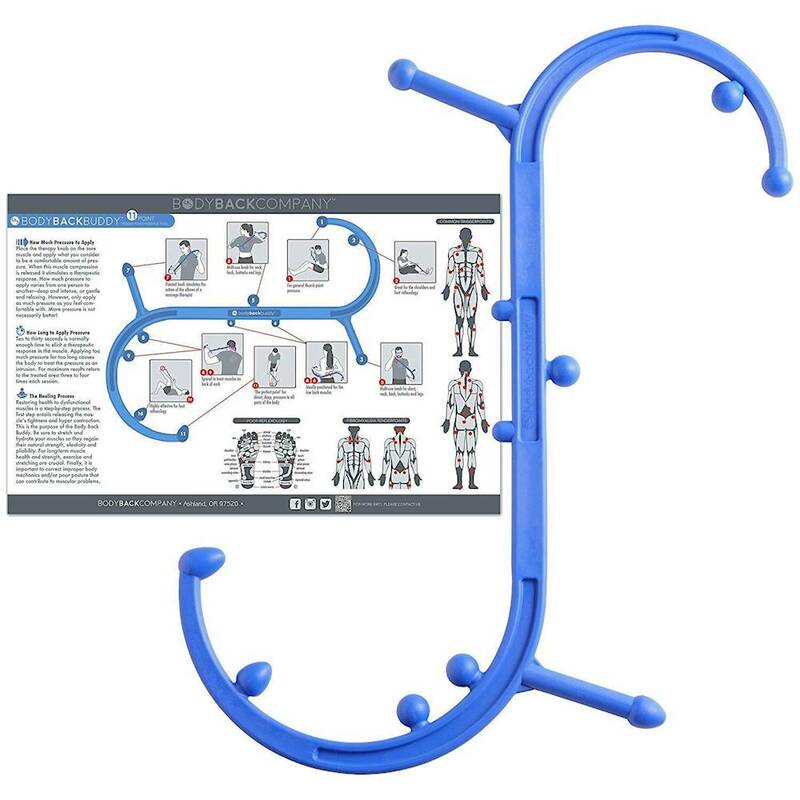 Features a useful completely illustrated poster that covers trigger points as well as therapy and also explains using images exactly how to apply this fantastic device. We get muscles which sometimes get irritated. Often a turn or perhaps twist is perhaps all it will take to develop a crick in the neck or a nagging ache between the shoulders. In any case this may be very painful and simply will not subside. Everyone’s attempted massaging the muscles to help make the soreness diminish. Nonetheless, it’s difficult to penetrate deeply enough, or even apply it for enough time, perhaps you simply cannot get to the location by yourself. 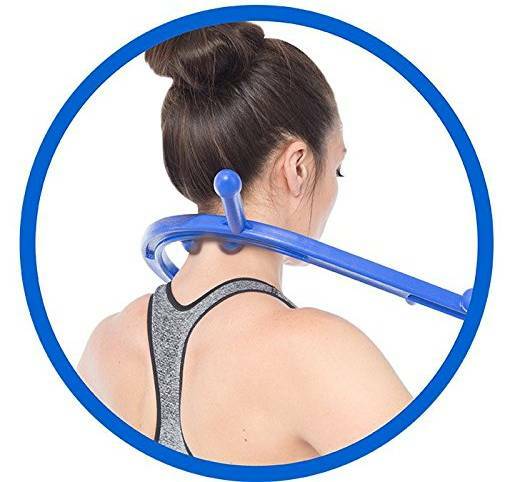 Using the back massager you are able to apply strong force massage therapy for the back, neck, shoulders, hip and legs, arms, glutes, anywhere you need. There are specific regions of neck muscle strain which have an effect on your neck. Tenderness, on the other hand, may appear in almost any muscle mass. You’re the best source to determine your discomfort and pain. Frequent use of the massager will help you recognize the origin as well as characteristics regarding muscle difficulties and may assist in a healthful, pain and ache free life style. The principles below should be used whenever utilizing the device for any muscle group within your body. 1: Target a location of muscle tenderness simply by pushing securely using the tips of the fingers or even the actual massager around a particular section of the neck, shoulder muscles, upper, mid and also lower back, buttocks or even thighs. 2: Whenever you come to feel a solid knot such as a region of tenderness or pain, apply force in order to identify the particular amount of discomfort within the muscle location. Some experience of soreness is actually anticipated coming from the force plus this feeling might even be pleasant and gratifying. Try to establish a tolerable amount of force. 3: When you’ve found the location and also recognize how it can feel, it is time to start employing the device. As you get accustomed to locating these kinds of tender spots and how to use pressure, you can start right away using the Back Massager rather than investing time finding them. 4: The muscle therapy massager may be simply hooked over the shoulders as well as beneath the arms. Use direct, constant, force towards the tender muscle tissue. 5: Force may be used between five and 30 seconds. It often will take time for muscle tissues to start getting accustomed to the force for the very first twenty seconds or more. Generally it is advisable to ease into it and slowly increase force as needed, adhering to your individual common sense. Many muscular aches and pains are affected or even caused by trigger points that are left untreated. 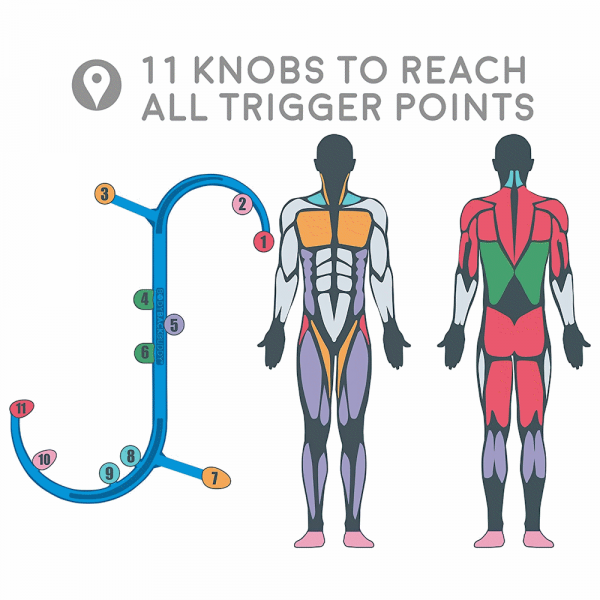 These points are local tender spots in the muscles. Understanding and treating these with the muscle therapy kit can lead to effective and lasting pain relief. Trigger point therapy is a crucial part of managing acute injuries and chronic pain. Some doctors will do injections for these. In many cases, arthritis and disc bulging is associated with these taut bands, knots or trigger points in specific neck muscles. Now, you can do massage, myofascial release and deep muscle therapy more efficiently than ever, as well as treating trigger points; all by yourself. Compression of these tender areas is an effective massage therapy and can provide immediate relief from chronic neck pain. 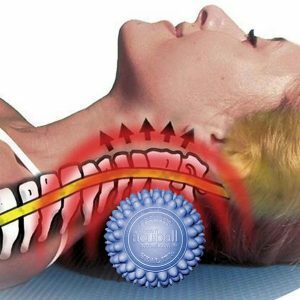 A 2002 study in the Archives of Physical Medicine & Rehabilitation found that the compression therapy in treating trigger points offers an alternative treatment using either low pressure for longer duration (90 seconds) or high pressure for shorter durations (30 seconds) for immediate neck pain relief. By using the cool gel prior to treatment, the muscle therapy kit allows a less painful experience when treating tender areas. Muscle related neck pain is often related to myofascial trigger points in both the the neck and shoulder muscles. These hypersensitive areas have been found in clinical studies to be more prevalent in chronic neck pain patients. Maintaining chronic pain has been shown to be related to processes in the brain and autonomic nervous system. 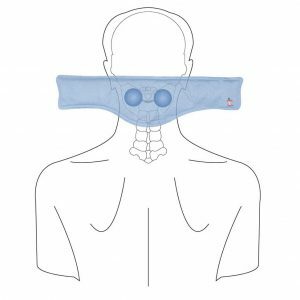 A 2017 study in Frontiers In Neuroscience indicates that trigger point compression was effective for significant relief of chronic neck pain. The mechanism of relief was determined to be via activity of the the prefrontal cortex and autonomic nervous system. A 2017 study in the Clinical Journal of Pain found that neck pain patients with active trigger points in the upper trapezius muscle had greater intensity of neck pain, higher levels of disability and a lower threshold of pain to pressure. A 2017 study in the American Journal of Physical Medicine & Rehabilitation found that patients with neck pain responded to myofascial release, a type of muscle therapy, by lowering the threshold for pain. Specific muscle therapy applied to the upper trapezius and suboccipital muscles proved significantly better than electrical nerve stimulation, ultrasound and basic massage. 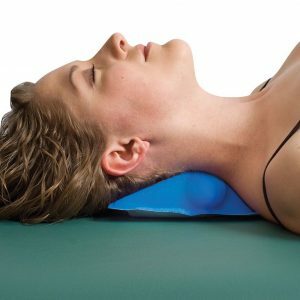 Myofascial release techniques can be used with the muscle therapy kit by moving the pressure along the muscle and/or holding pressure and moving the head or body part through a range of motion. This can be done both deep and superficially. Using the topical application can allow for better gliding during treatment. The fascia covers the muscles and can be infiltrated with scar tissue. The scar tissue fibers can trap small nerves and shorten to produce pain. Treating these areas can release nerves and lengthen the fascia, thus inproving pain and motion range. In another 2017 study in the American Journal of Physical Medicine & Rehabilitation it was found that massage to patients with myofascial pain syndrome resulting in tension type headaches. Again the areas treated were trigger points in the upper trapezius and suboccipital muscles around the neck and upper shoulders. The authors indicated the great capacity of treating trigger points to decrease pain. While chronic pain usually displays active trigger points and myofascial pain that has become hypersensitive over a period of time, acute or recent pain, can also form trigger points. A 2015 study in the European Journal of Pain found that treating trigger points for acute low back pain. They proved compression directed at myofascial trigger points was more effective for improving pain, disability and motion than treatment directed at areas without trigger points and superficial massage. Treatment was 3 times per week for 2 weeks. 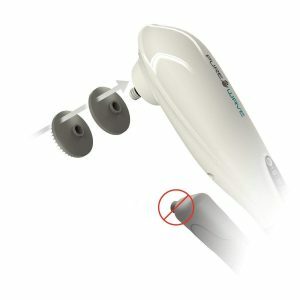 Using the muscle therapy massager, you can actively treat conditions that may not have responded to other treatments. It gives you the power to treat yourself anytime and anywhere. The leverage gained by the massage tool means you can treat any muscle with ease and without strain. 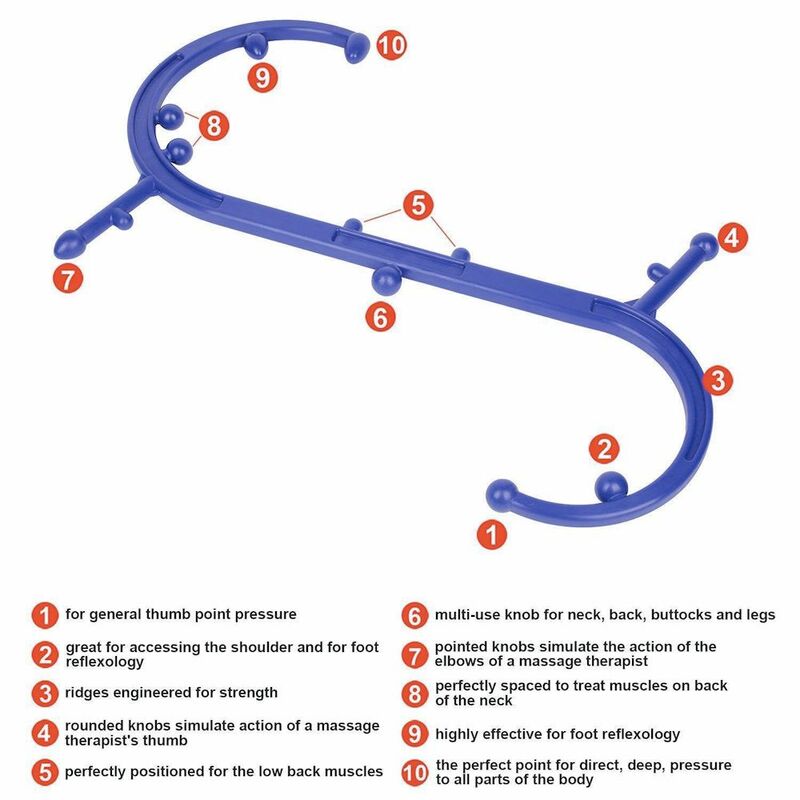 There is almost no limit for ways to treat muscles. You can experiment on your own with different techniques; standing, sitting, lying down, along with compression, motion and combinations of gliding with more or less pressure. Myofascial therapy was a main part of my practice. Using the massager is an essential part of my own therapy. One technique I like is to treat a muscle with a combination. First, I use a topical, massaging it in lightly for a minute or two. Then, let’s take the levator scapula muscle; it runs from the neck to the shoulder blade and is often found with a stiff neck, especially when waking in the morning. If it is the right side, after applying the topical, I do compression to a few areas where there are trigger points; it’s pretty easy to find on yourself. Then I apply pressure at the top of the neck and bend my head to the left and rotate slightly to the left. While doing this, I allow the tip of the tool to glide down the muscle with more or less pressure. Four or five passes of the muscle with increasing pressure like this is enough. I then apply more topical in a similar fashion as the treatment with light pressure – basically stretching, and I can really feel the decrease in pain and the area loosening up. 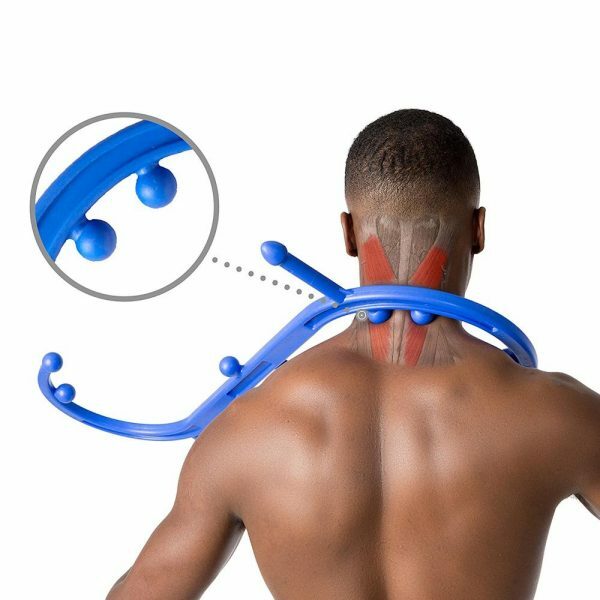 Another technique using the muscle therapy massager is treating the upper trapezius with a combination of compression and motion. The upper trapezius is an area that frequently maintains trigger points. It is the muscle that runs along the top of the shoulders. Take the left side. I do not initially use any topical. Apply deep pressure to a trigger point downward, the bend your head to the right. Do the motion slowly. This holds the trigger point while you move the muscle under it along the length of the muscle. This helps to re-align scar tissue and I feel it is more effective than compression alone. After treatment, I then use the topical to apply directly to the area(s) treated. 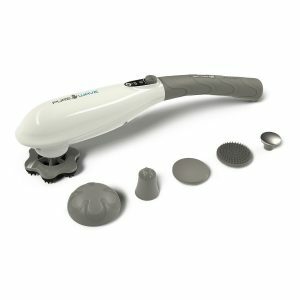 The muscle therapy massager allows you to take control of your own treatment to ease stiff muscles and myofascial conditions which can perpetuate pain and frustrate attempts to resolve. 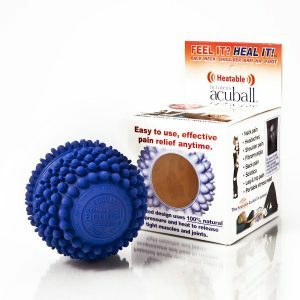 A great addition to your pain relief toolbox.